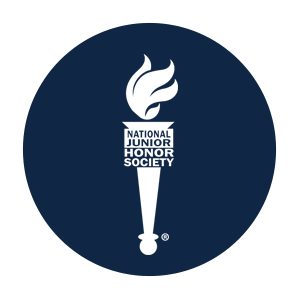 ​The National Junior Honor Society chapter of St. Joseph School is a duly chartered and affiliated chapter of this prestigious national organization. Membership is open to those students who meet the required standards in five areas of evaluation: scholarship, leadership, service, citizenship, and character. Standards for selection are established by the national office of NJHS and have been revised to meet our local chapter needs. Students are selected by a 5-member Faculty Council, appointed by the principal, which bestows this honor upon qualified students on behalf of the faculty of our school. Students in the second trimester of grades six through eight are eligible for membership. For the scholarship criterion, a student must have a cumulative GPA of 94.5%​. (based on the average of the 1st and 2nd trimester core subject grades), and an average of 70% or higher in all itinerant subjects. Those students who meet this criterion are invited to complete a Student Activity Information Form that provides the Faculty Council with information regarding the candidate’s leadership and service. A history of leadership experiences and participation in school or community service is also required. To evaluate a candidate’s character, The Faculty uses two forms of input. First, school disciplinary records are reviewed. Second, Faculty members are solicited for input regarding their professional reflections on a candidate’s service activities, character, citizenship, and leadership. These forms and the Student Activity Information Forms are carefully reviewed by the Faculty Council to determine membership. A majority vote of the Council is necessary for selection. Candidates are then notified regarding selection or non-selection. Following notification, a formal induction ceremony is held at the school to recognize all the newly selected members. Once inducted, members are required to maintain the same level of performance (or better) in all five criteria that led to their selection. The standard that applied to students’ admission will remain the same for those students already members of the NJHS. This obligation includes completion of ten service hours in the chapter’s service projects. Students or parents who have questions regarding the selection process or membership obligations can contact the chapter advisers, Mrs. Nancy Breault at nbreault@sjsww.org or Mrs. Graham at rgraham@sjsww.org or by phone at 401-821-3450.